The purpose of our academic program is to challenge every child so that they develop a deep and abiding curiosity and wonder about the changing world, the skills to adapt to it, and the ability and inclination to create and share lives of deep meaning, dynamic actions, and transcendent joy. Symmetries found and broken, systems that abide, transformations and transitions, the palpable beauty of evanescent facts and figurations – we want students to revel in these realities and find a way through and amidst. Using the following disciplines, we work toward creative adaptation and final winged flight. The Humanities curriculum at EHS focuses on the development of an awareness and appreciation of the world, largely through the word. 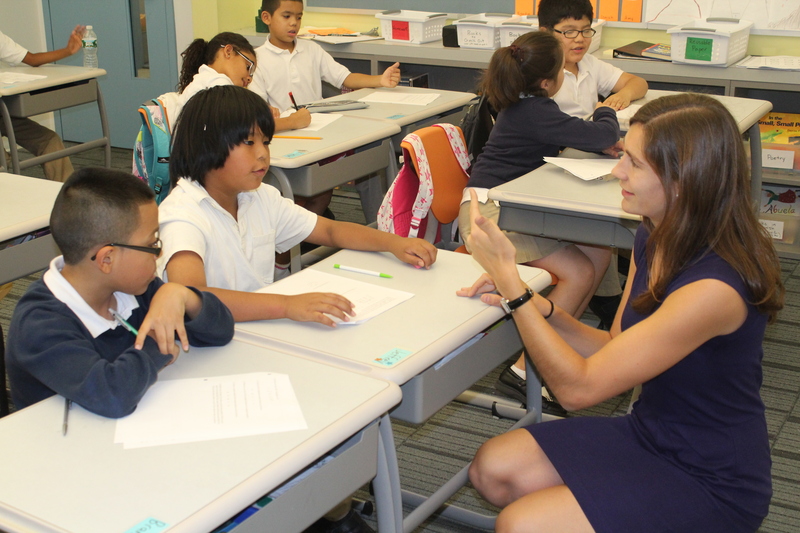 By developing the skills of careful and dynamic reading, lapidary and compelling writing, active and compassionate listening, and mindful and compelling speech, students gain an appreciation of the beauty and power of language and are able to use it to positive effect. In order to expose students to the range of human modes of linguistic expression, we read a variety of texts, including novels, poetry, textbooks, and newspapers. As writers, students are taught, through the disciplines of grammar and the gathering of textual evidence, to develop creativity and an individual voice, while maintaining precision and clarity in a diversity of writing styles and structures. Also within our Humanities program, students study history, geography, and evaluate current events with the same precision we use in literary exploration and with the same intention to gain clarity about the human condition, the human heart, and the state of the world. At EHS, Mathematics is used as a way to develop a student’s ability to see and engage with symmetries, proportionality, and patterns, both symbolically and in application, in order to better comprehend and shape their world. The Mathematics curriculum at EHS emphasizes the development of strong number sense, procedural fluency, analytical reasoning, and problem solving skills. The curriculum in the early grades includes the following topics: geometry and spatial relationships, algebra concepts, computation with rational numbers, integer concepts, rates, ratios, and proportions, percentages, statistics, and probability. The EHS Mathematics curriculum culminates in a rigorous Algebra I class in the 8th grade that includes the use of a graphing calculator. Our Science program is based on inquiry and true experimentation – asking questions about the world, seeking tangible and replicable evidence through close observation and experimentation, and then developing parsimonious explanatory models that bring us closer to the truth about what is constant and what is changing within ourselves and our universe. To further these ambitious goals, the science curriculum incorporates scientific reading and writing, graphing, active experimentation in our exploration of the physical and biological world. 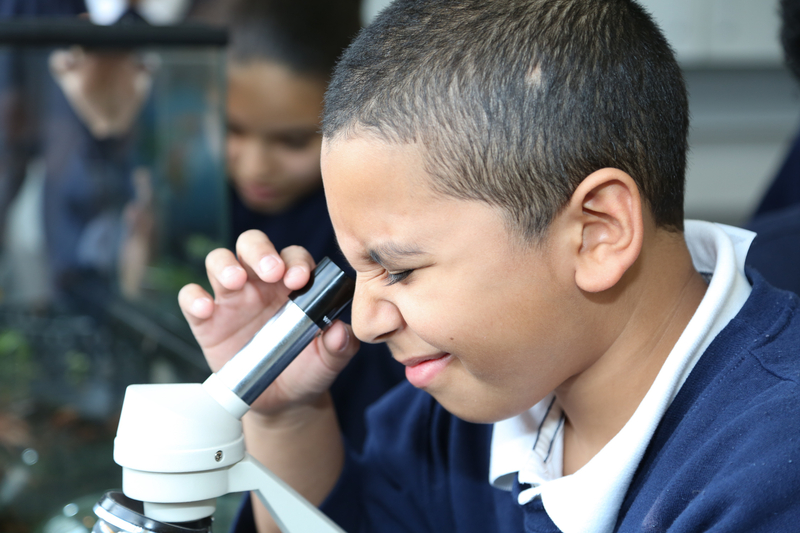 The curriculum for each grade incorporates topics from the life, earth, and physical sciences with an emphasis on allowing students to develop strong qualitative and quantitative reasoning skills. Our Spanish curriculum is an exploration of and tribute to culture and its expression through a language different from our dominant national idiom. Through the process of this formal language training, students gain not only greater mastery of the structures of Spanish, but also they gain a stronger sense of the grammatical structures of English and the plasticity of sound and meaning. EHS 7th and 8th graders complete a two year Spanish I course. This course introduces students to the basic concepts of Spanish grammar and vocabulary through exercises emphasizing speaking, writing, listening, and reading. In addition, cultural topics and customs of Spanish-speaking countries are explored through the use of technology, hands on activities, and personal narratives.